Two Bradford residents and a resident of Troy were transported to the hospital following a two-vehicle crash Sunday morning. 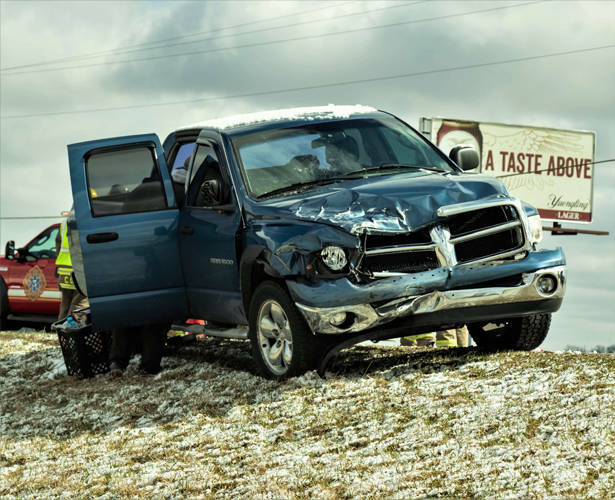 GREENVILLE — Multiple injuries were reported as a result of a Sunday morning accident that left three people transported to the hospital. 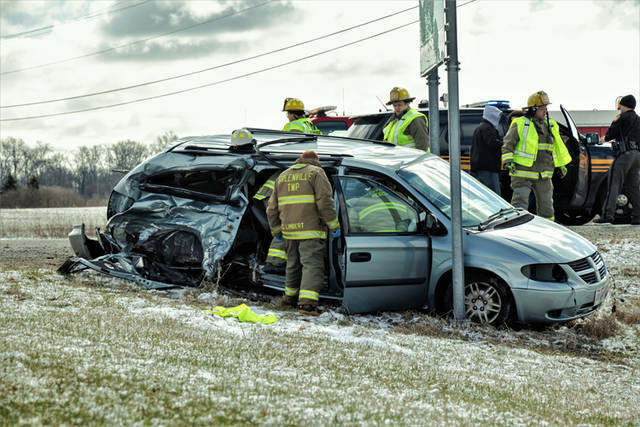 At approximately 10:30 a.m., emergency personnel from Greenville Township Fire and Rescue as well as deputies from the Darke County Sheriff’s Department were dispatched to the intersection of U.S. Route 127 and Horatio Harris Creek Road in regards to a two-vehicle injury accident. 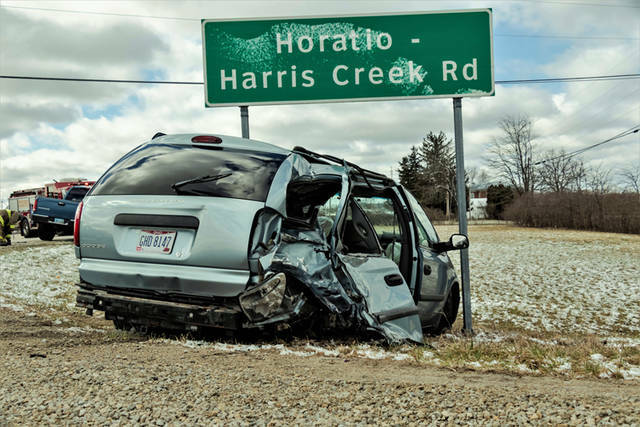 According to the Darke County Sheriff’s Department, preliminary investigations into the accident revealed that a 2005 Dodge Grand Caravan, driven by 81-year-old Ervin Smith of Troy, was northbound on U.S. Route 127 when it attempted a left-hand turn onto westbound Horatio Harris Creek Road and entered into the path of oncoming traffic. 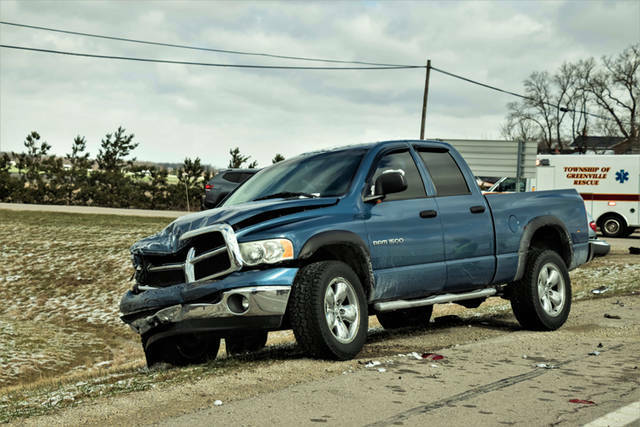 The Dodge Grand Caravan was struck in the rear passenger side of the vehicle by a southbound Doge Ram 1500 driven by 48-year-old Jason Brewer of Bradford. This entry was tagged Bradford, crash, Darke County Sheriff’s Department, Darke County Sheriff’s Office, Greenville Township Fire and Rescue, Greenville Township Fire Department, Greenville Township Rescue, Troy, Wayne HealthCare. Bookmark the permalink.